ZURICH (Reuters) — A court has rejected a lawsuit against FIFA brought by labour unions which said it had failed to use its influence to ensure fair treatment for people working on 2022 World Cup facilities in Qatar, the world soccer body said on Friday. FIFA said in a statement it welcomed the decision by the Commercial Court of Zurich in the case which concerned its "alleged wrongful conduct and liability for human rights violations." The court could not immediately be reached for comment and FIFA did not give further details on the case itself. The suit was filed by Bangladesh Free Trade Union Congress, backed by the Dutch union FNV, on behalf of a Bangladeshi man who says he was exploited in Qatar. 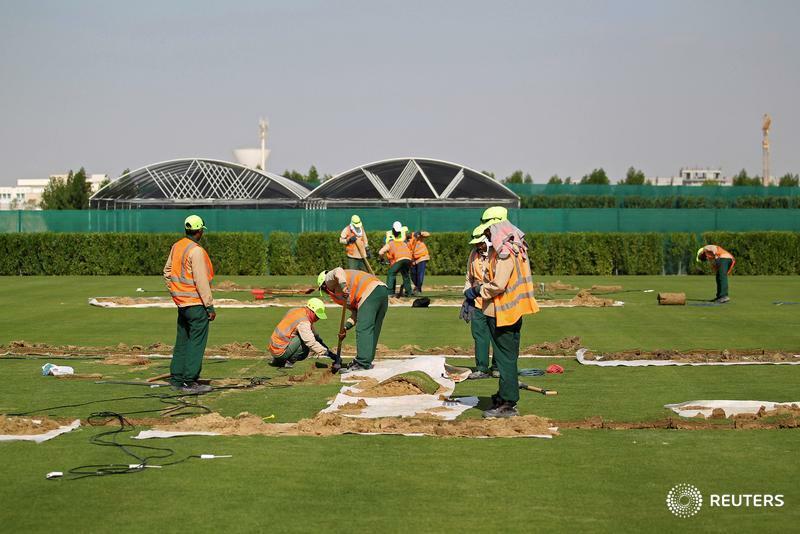 It called on FIFA to force Qatar to adopt "minimum labour standards" for migrant workers preparing for the tournament, including at least the right to quit a job or leave the country. The Gulf state has faced criticism of its treatment of foreign workers from Amnesty International, the Building and Wood Workers' International organization and others. Doha has previously denied exploiting workers and says it is implementing labor reforms. Under Qatar's "kafala" system, foreign workers must get their employer's consent to change jobs or leave the country. The Qatar government passed a new law last month and said the reforms would make it easier for migrant workers to change jobs and leave the country, but human rights organizations said the changes would not end abuse or exploitation. FIFA said it took labour conditions in Qatar "very seriously." "FIFA monitors the situation very closely and ... will continue to urge the Qatari authorities to ensure safe and decent working conditions for construction workers," it said.